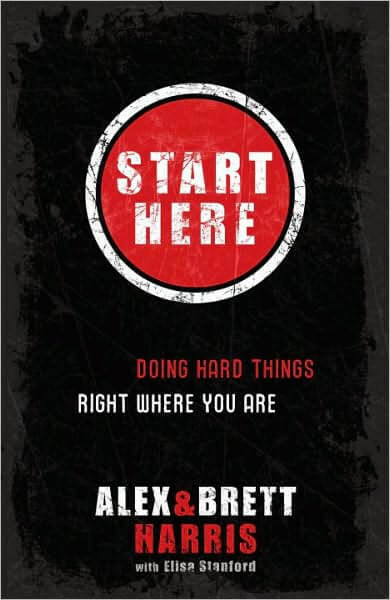 Start Here, the new book by Alex and Brett Harris, is a must-read for all Rebelutionaries and those who have read Do Hard Things. The subtitle of this book is “Doing Hard Things Right Where You Are” which is definitely an accurate description of the purpose of this book. · What the first step looks like and getting started on hard things. 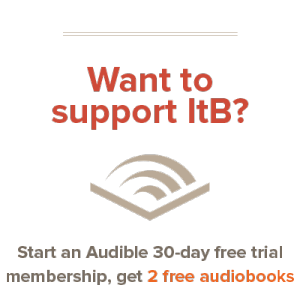 · Practical help for making a great idea work. · Handling the changes that come with doing hard things. · Keeping God in focus every step of the way. · Keeping on in the middle of hard things. · How to move against the crowd and your intentions in doing so. · What to do when your hard thing is done. Included in this book are some amazing stories of others who did hard things and the struggles of doing hard things as well as the joys! And the really awesome thing about this book is that it is totally focused on Christ and His glory. Developed in a question-and-answer format, the Harris brothers answer many of the questions that may seem to plague us as we are doing hard things. While this book would be put into perspective more if you read “Do Hard Things” first, I highly recommend this book to all. I saw that this book came out and I’ve been really wanting to buy it! 🙂 I haven’t been able to yet but I enjoyed reading your review…I’ve really got to get my hands on this book to read sometime, since it sounds really great, just like Do Hard Things was. I didn’t even know that they had written another book!! I agree it sounds like it would be really good to read. I’m going to try and borrow it from someone. Yes, they did, and I really want to read it as well!